It was time to make a decision and it would not be an easy one. 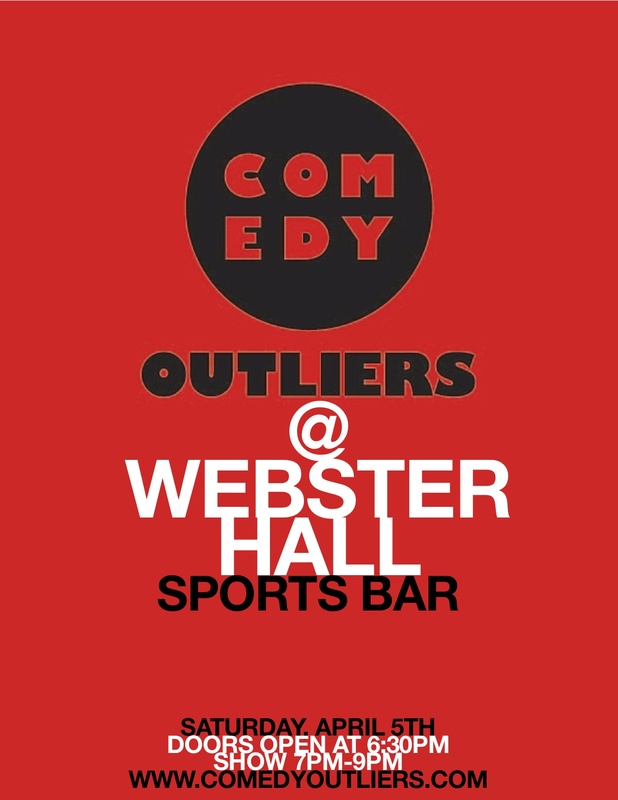 After producing an “Outliers” show for a private YELP event and hosting a successful 2-year show, we were offered an amazing opportunity to bring our talents to Webster Hall. It was a bittersweet moment for us as we wanted to remain loyal to Lilly O’Briens, but with their new construction delayed indefinitely and our following growing more each week, we had to take this opportunity. We were given the chance to run our show just the way we have in the past but this time with the support of a business with a high profile and its own following. Everything’s perfect right? This is where our dilemma came. After 2 years of hosting free monthly showcases, this new relationship with Webster Hall would allow us to book top talent but at a cost. A $10 cover. Our main concern with this new cover admission? Would our fans come? We had been providing what we felt was a great product that garnered strong praise from comics, positive word of mouth amongst our audience and the attention of NY publications. But this had all been for free. Would this work? In this brief lapse of confidence, we began to worry about whether or not this would work. However, this moment also brought some clarity. If after 2 years, our fan base wasn’t willing to pay an admission charge for our showcase, which had been consistent and praised then maybe it’s not as successful as we thought. After months of hearing various audience members tell us, “You should be charging SOMETHING for this amazing show!” It was now time to see if they would come through for us. It was a huge leap of faith but with the turn-out of more than 50 people during our first showcase in early March, we were proud of our decision. Not only were we able to pay all of our talent, we were also able to purchase better raffle prizes, invest in a new “Comedy Outliers” banner and new podcast equipment. This is the next step in our evolution. It’s risky and requires even more work on our part when it comes to marketing, producing and executing a show that has helped us build a mailing list of hundreds. We are excited, nervous and thankful for this opportunity to work with Webster Hall on expanding the Outliers brand. Year 3 looks very promising. 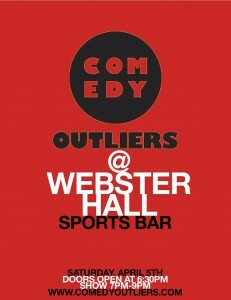 Comedy Outliers next show on Saturday, April 5 has a $10 cover with no drink minimum. Buy advance tickets. Support their efforts by hitting the “Donate” button on their website. Tags: Brandon Collins, Mike Brown, Stand Up.